Visitation: 5:00 P.M. – 7:00 P.M.
Christine Ray Moses was born January 21, 1925 in Swan Lake, Mississippi to the late Joe Eddie and Lillie Virginia Branson. She made her heavenly transition on Wednesday, December 31, 2014 at Saint Thomas Hospital surrounded by her loving family. She was preceded in death by her husband, Anderson Moses and her sisters and brothers; Ella Mae, Ida Lee, Louise, Arlena, Lillie Pearl, Joe Jr., Tom, Jimmy Lynn, Reotha, B.W., Lloyd, and Reotha. Christine accepted Christ early in life and faithfully continued to serve the Lord throughout her years. She attended Liberty Baptist Church and later joined The Seventh Day Adventist Church in Clarksdale, Mississippi. Christine Ray Moses was educated in the Tallahatchie County School System in Swan Lake, Mississippi. She married Anderson Moses on January 1, 1946 and together they raised 6 children; Cynthia Ruth Moses (deceased), Anderson Moses, Jr. (deceased), Kattie Mae (Carl) Dowdy, Vanessa Maxine Lawrence, Gloria Anita Moses, and Clyde Ray Moses (deceased). Christine was a homemaker until the Moses family moved to Chicago, Illinois in 1965 where she became a laborer. 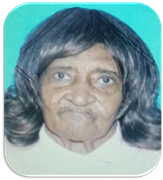 She was a faithful member of Obedient Baptist Church then later joined Prince of Peace Baptist Church where she was very active in the choir, the Mother’s Board and she also conducted a weekly Bible Study. Throughout her years in Chicago she served her family and friends with love and generosity. There was never anyone in her sight that went without. She was truly a Woman of God who labored before the Lord in prayer for her family. In 2004, Christine moved from Chicago, Illinois to Murfreesboro, Tennessee were she became a member of True Victory Outreach Church. Her wisdom and love overwhelmed everyone she came into contact with. Christine is survived by her sister, Rose Taylor and Henrietta Miles, and her brother’s Albert Ray and W.T. Ray. Mrs. Christine Ray Moses was blessed to have 11 grandchildren, 31 great- grandchildren, 13 great great-grandchildren and a host of nieces, nephews, cousins, and other relatives and friends. Visitation: 2:00 P.M. – 6:00 P.M.
Family Visitation: 12:00 Noon – 1:00 P.M.
James Henry King was born on May 25, 1921 in Murfreesboro, Tennessee to the late Elijah King and Annie Mai Mitchell King. He transitioned from this earthly life at the age of 93 on Thursday, December 25, 2014 at his residence. He is preceded in death by sisters, Lucille Cathey, Ruby Howse, Johnnie B. Cox, brother, I.W. King (Dub), daughter, Alice Faye King and son, James Arnold King. James was baptized in 1950 at East State Street Church of Christ which later became Bradyville Road Church of Christ. He moved his membership to Sandhill Church of Christ in LaVergne, Tennessee to be with his family but after health begins to fail him he moved his membership to Riverdale Church of Christ where he served faithful until his death. On October 19, 1946, he was united in holy matrimony to Lula Jackson where four children were born. James loved to fish and hunt. He worked with Drew’s Plastering Company, Textron, formerly called AVCO, V.A. Hospital, and actually had his own business, “Three Bills and a King”, and Riverdale High School where he retired being the oldest Rutherford County employee in 2012. He leaves to cherished his memory, his loving and devoted wife of 68 years, Lula Jackson King, two devoted daughters, Annie Frances King and Sherrie King Murray; six grandchildren, Sylvia (Jimmie) Jones, Latesha (Marcus) Wade, James Glenn King of California, Daniele (Jerry) Ross, Rakesha King, James Arnold King; twelve great-grandchildren, Asa Jones, Laila Jones, Jayla Ross, Devontae Ross, Jayden Ross, Chelle’ Jones, Isaiah Wade, Makiaylah Wade, Konami Wade, Dayton David, James Arnold King III, and James Justin King; and one great-great granddaughter, Kassidy Nicholson; six nieces Gladys O. Cannon, Mary Frances Hunt, Diane Gilmore, Peggy White, Georgia E. McMurray and Melissa Lopez; two devoted nephews, Robert O. Howse and Henry I. Miller; nephew LaDrake King, and one very devoted great nephew, Michael Smith; a host of other nieces, nephews, cousins, and friends; and a very special friend and co-worker, James Vance. Lie In State: 9:00 A.M. – 10:00 A.M.
Family Visitation: 10:00 A.M. – 11:00 A.M.
Visitation: 3:00 P.M. – 6:00 P.M. Lie In State: 10:00 A.M. – 11:00 A.M.
Mrs. Lilia Santiago-Johnson was born on May 24, 1986 to Ricardo Santiago, Sr. and Gloria Santiago and at age 28, she passed away Thursday, November 6th at her residence. Even though her health was failing, Mrs. Johnson was baptized just a few short weeks ago at First Assembly of God. Mrs. Johnson is survived by her loving husband Timothy Johnson; five children Donavan, Sydnie, Morgan, Miaha and Maleena Johnson; parents Ricardo, Sr. and Gloria Santiago; two sisters Maria and Carolina Santiago; one brother Ricardo Santiago, Jr.; a host of other relatives and friends. Mrs. Christine Delores Short was born on January 02, 1937 to the late Margaret Taylor and William Osborne. She departed this life on November 04, 2014. Along with her mother and father, she was preceded in death by one son, Joe Henry Akins; one daughter who passed shortly after birth; two brothers, James Osborne and Willie Osborn; and four sisters, Frances Akins, Margaret Osborne, Fannie Mae Osborne, and Gertrude, Mintlow. Christine leaves to cherish her memories four sons, Nelson Akins, Jr., Tom Akins, Billy (Marie) Akins and William Akins; four daughters, Mai Gooch, Delores Akins, Donna Akins and Linda Akins; brother, John D. Osborne; sister, Hazel Osborne; and a host of other relatives, nieces, nephews, grandchildren, great grandchildren, great great grandchildren. Jesse Frank Robinson, lovingly known as ‘Bookie’, came to rest on October 6, 2014. He was born on October 22, 1944 to the late Carl Edward and Laura Robinson. Along with his parents he was preceded in death by his three brothers, Carl, Jackie and Wayne Robinson. Bookie graduated from Holloway High School in 1964 where he was a committed member of the Holloway Trojans. Because of his love for football, he was a dedicated fan of the NFL Washington Redskins. Shortly after graduating from high school he enrolled in the Jefferson Street Barber College. Upon completing the course work he was recognized by the state of Tennessee as a licensed barber. Over the course of more than 40 years he served his community as an avid and skilled barber. Bookie was a giving person who was frequently confirmed when he gave haircuts for no cost to those he served or to those in need. He gave his life to Christ at an early age. As he better understood the love of Christ he joined Bethel Missionary Baptist Church. In his search for a closer relationship with Christ, in 1987 he joined Oakland Park Seventh-day-Adventist Church where he was a dedicated member and served as one of the church deacons until his health failed. He is survived by his wife Marilyn Woods-Robinson; devoted son Kenneth Robinson; very loving and devoted daughter LaRissa Robinson, daughter Kisha Marble and step-son Michael Broyles, Jr.; sisters, Peggy Nevels, Martha Robinson, Carolyn Barnhill and Eva Robinson, all of McMinnville, TN, who were loving, devoted and always there throughout his life; brothers-in-law, Herschel (Sharon), Collier Woods both of Murfreesboro, TN and Frederick (Hope) Woods of Glenndell, MD; loving caring grandchildren, Andrell Chuck McCord, Kris McCord, Krisma ‘Boosh’ and Brian Robinson; step-granddaughter McKenzie Broyles; great grandchildren, Rondrell and Karon Gaston and Brielynn Robinson; and a host of nieces, nephews, relatives and friends. Family Visitation: 1:00 P.M. – 2:00 P.M.
Joseph Mizzell Freeman (JoJo) was born on December 1, 1960 in Rutherford County to Mildred Newman; he departed this life on September 20, 2014. He attended Christiana School and Riverdale High; later in life he received his GED. Football was his favorite sport and he loved cheering on the New York Jets. JoJo loved being outside, and you could always catch him sitting on the corner of Highland and Castle waving and talking to everyone that passed by. JoJo’s loving and contagious personality will be missed by all of those that he came in contact with. JoJo was preceded in death by step-father Thomas Freeman, Sr.; grandfather Joe Newman, Jr.; and best friend Wayne Daniels. 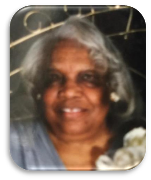 JoJo leaves to cherish his memories, devoted mother, Mildred (Thomas) Spann of Christiana, TN; loving grandmother, Gencie M. Newman of Christiana, TN; two sons, Jason Polk of Nashville, TN and Joseph Freeman, Jr. of Murfreesboro, TN; one daughter, Yentl Bigsby of Murfreesboro, TN; loving brother, Thomas (Cuturia) Freeman, Jr. of Jacksonville, FL; sisters, Sophia Freeman of Round Rock, TX and Yolanda (Stanley) Sharp of Murfreesboro, TN; loving aunts, Lolies Newman of Christiana, TN, Mai Belle Newman of Nashville, TN, DoraNell Freeman of Christiana, TN, Ocydean Richardson of Murfreesboro, TN, Viola Malone of Smyrna, TN, Cornelia Cooper and Shellie North both of Murfreesboro, TN; uncles, William (Mary) and Jesse Freeman both of Murfreesboro, TN; five grandchildren; very devoted cousins, Vivan (Andrew) Miller and Beverly Murray; a host of nieces, nephews, and cousins; friends, Marvin North, Gregory Smith, Janet Lanier, Janice Polk, Debra Fritz, Roxie Stewart, Doris Tigg and devoted friend Rhonda Benford.